One of my indulgences (when I'm not to tired ha) is tucking myself away in my sheets and slowly flip through the pages of my monthly Martha Stewart Living Mag. It's honestly one of my favorite things to do! 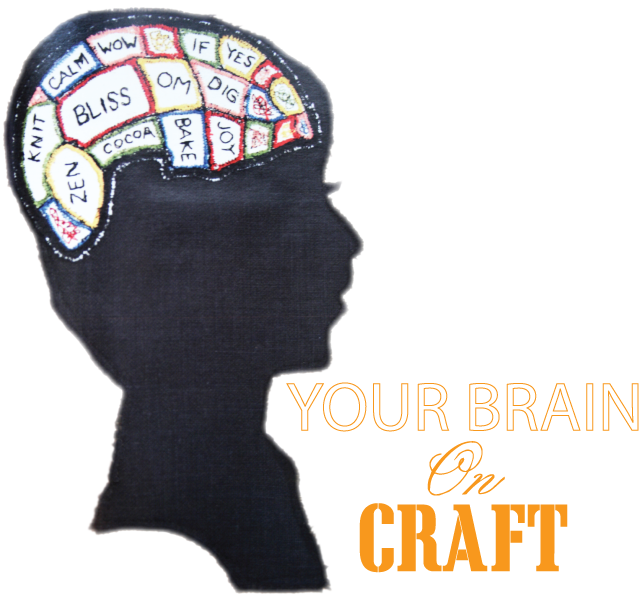 I came across this article written by Lisa Borgnes-Giramonti, about how crafting is good for your brain...it's medically proven! "When the midbrain is engaged by the repetitive movement involved in crafts, the temporal lobe is unable to focus on worry or stress," says psychologist Robert Maurer. I was enthralled in this article, probably because now I have a legitimate excuse to get my craft on. Not only is it my "happy place" but it really DOES decrease your heart rate and blood pressure and even improve sleep (once again according to Robert Maurer). Crafting causes you to be more present in the moment because your concentrating on one particular thing that you enjoy. This makes it hard to think about anything else like your to-do list, bills, other problems, what you need to do tomorrow...so my friends GO GET YOUR CRAFT ON. It's good for your soul and your brain! 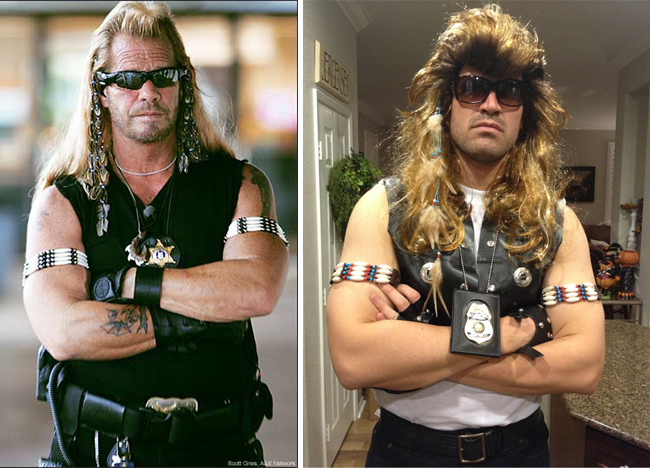 Below is my hubby dressed as, yep, the Dog. We went to a million stores (ok slight exaggeration) last night trying to get the perfect "things" for his costume today to wear to work. It was worth it. Look at this stud muffin (mullet and all). I think he plays the part quite nicely haha. LOL- your husband's costume is great! LOL You've even got the feathers in his hair! Have a 'spooktacular' Halloween Miss Aarean & family!!! re: hubby's costume. well done! That's so interesting. 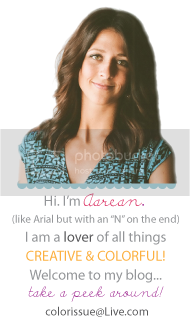 As much as I say that I'm not "crafty", I DO really find it relaxing when I am "crafting". And I died when I saw Josh's costume on your instagram pic this morning. So funny.